The list of the most popular destinations last year includes leisure destinations Sharm-el-Sheikh and Hurghada in Egypt, Antalya in Turkey, Batumi in Georgia and Tirana in Albania. 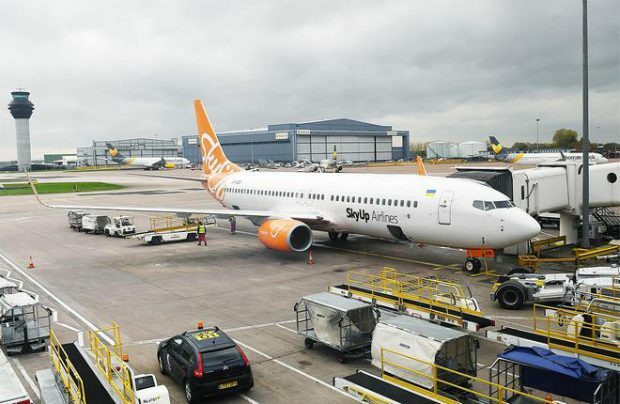 SkyUp’s most popular city pairs were Kyiv – Sharm-el-Sheikh, Kharkiv – Sharm-el-Sheikh, Zaporizhye – Sharm-el-Sheikh, Odesa – Sharm-el-Sheikh, and from Kyiv to Antalya. The airline, which started with only two aircraft in its fleet, and added three more throughout the year, currently operates a fleet of five: four B737-800s and a single B737-700, but intends to double the size of its fleet this year. According to information on its website, the carrier plans to operate 12 aircraft next year, 14 in 2021 and grow the fleet size to 18 in 2022. To meet further demand, in March last year, SkyUp signed a firm order for two B737MAX-8s and three 737MAX-10s, which are scheduled for delivery in 2023 and 2024. The airline was founded by Yuri and Tetyana Alba, who are also the owners of Join Up!, one of the country’s major tour operators. Chief executive Evgeny Khainatsky previously worked for Ukrainian airlines AeroSvit and Air Onix. SkyUp Airlines is based at Kyiv International Igor Sikorsky Airport (formerly named Zhulyany).